The Little Things? What makes them important? It made me think about how I might choose to pay attention differently in this often overly-full life of mine! What happens when you get to the end of your day, exhausted and ready to fall into bed (if this isn’t you by the end of the day, kudos to you!)? How often do you look back over the day and feel gratitude for the very many tasks that you accomplished? Or consider the laugh you had with your colleague, or the first taste of coffee or tea in the morning? I know I don’t do it often. Typically, I barely remember the morning (unless something difficult happened and I’ve re-hashed it a bunch of times) much less the middle of the day. I might remember that hard conversation or the fact that I left behind such a long list of things that still remain on my to-do list, which makes me feel even more exhausted. While more eventful things will come to mind, it is so easy to fall into the trap of the negative. But when I think about the little things, the little moments, I start to lean in to the positive. The quick speech practice with my daughter, or the exuberance of the dogs. A laugh with my husband or a phone call with a friend I haven’t spoken with in a while. Lunch with my colleagues. That lovely cup of peppermint tea. Even an easy drive in to work has the potential for a smile – when I notice. 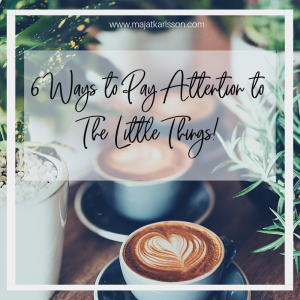 I think because we are coming to the end of this year and it seems to me that the year has passed in a whirlwind (particularly the second half for me), I think it is fitting to spend some extra energy over the next couple of weeks noticing the small things. But how can it be done if we’re not in practice? Here are 6 ideas you can try today! Think backwards. Make a list of 10 little things or moments that have been memorable to made a positive impact on your life. Go back to yesterday, or last year, or several years. Sit in the memories that emerge as you consider these little moments. Remind yourself. Set an alarm on your phone or watch for several random times throughout the day. When the alarm goes off, remind yourself to notice what is going on around you. What do you appreciate? What do you notice. Stop the spinning. 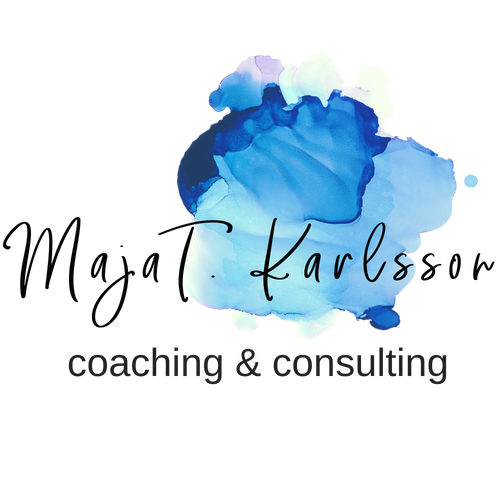 If you find yourself frustrated with something or your inner critic voice has gotten loud, take a deep breath (or 3), close your eyes (if you aren’t driving), and count to 10. This can help you to reset your mind for a moment, giving you the chance to notice what is actually going on around you – not what is going on inside your head. Find gratitude. Annoyed that the traffic is bad – be grateful that you have a car to get to work. Overwhelmed with your job – be grateful that you have a job that helps you to live in your home. Irritated that you’ve run out of milk and no one thought to tell you – be grateful that you have other foods/drinks you can have instead. Maddened that your sibling didn’t call to wish you a happy birthday – be grateful that you have a sibling and give him/her a call. Sometimes finding gratitude will be hard, other times easier, but either way with practice it becomes more possible. Seek the delicious. Does the cool evening air feel good on your face? Breathe it in. With the first sip of coffee in the morning, really focus on the experience! A song you love on the radio? Turn it up and sing (and dance) along! Pay attention. As you go through the day, see how many little moments emerge that you can appreciate that you might not have noticed before. As you move into this busy season, I encourage you to appreciate the little things. These might actually be the things that mean the most as you look back. Like this post? Please share it! Have ideas to share with others, comment below!